The satanic temple is set to erect a monument to ‘honor’ fallen soldiers right beside a Christian memorial at Belle Plaine’s Veterans Memorial Park in Minnesota. The people of Belle, Minn., only wanted to honor the heroes of our country, but now they will have to accommodate Satanists too. 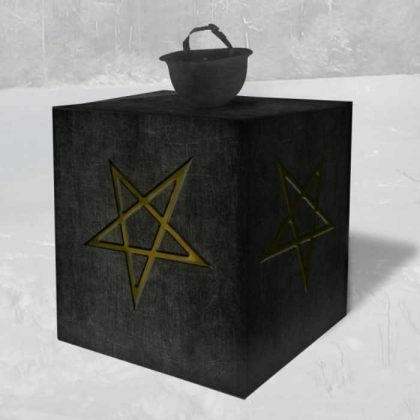 What all began in January will now, end with a satanic monument placed right next to a Christian monument. What all started as an argument, lead to city leaders deciding to remove the Christian memorial featuring a soldier kneeling before a cross and a Bible, fearing a lawsuit from atheists. After protesting the removal of a cherished monument, some residents of Belle Plaine fought to return “Joe” to the city’s memorial park. 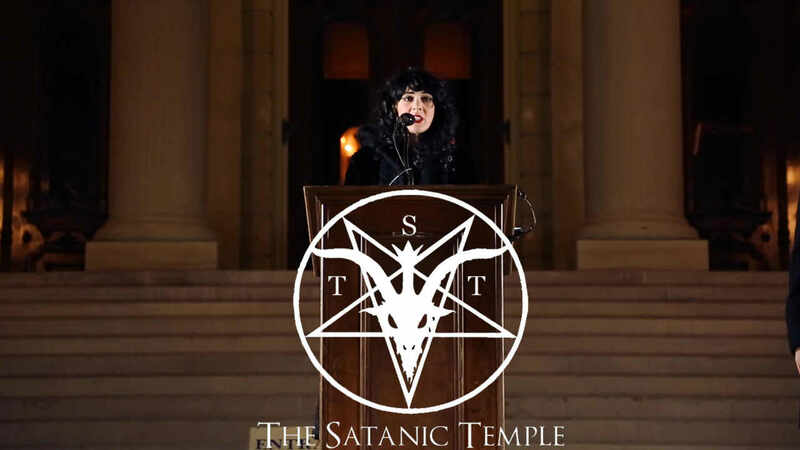 Satanic Temple war memorial concept art posted on February 24, 2017. 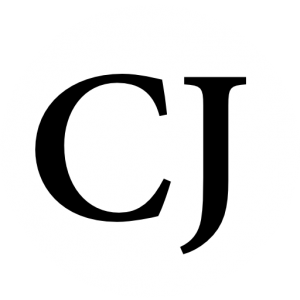 The city protested against the removal, but, that led to officials designating an area in the park as a “free speech zone,” which means that other religions and organizations can erect their own temporary memorials. “The four pentagrams recall the four corners of the Earth — they serve as a reminder to the viewer of the satanic/pagan symbols/ideas sacred to soldiers that sacrificed. The black is a cold memory in mourning and a field of mystery and imagination. The gold is a Luciferian light reflecting light onto the view like a sacred icon,” Andres said. 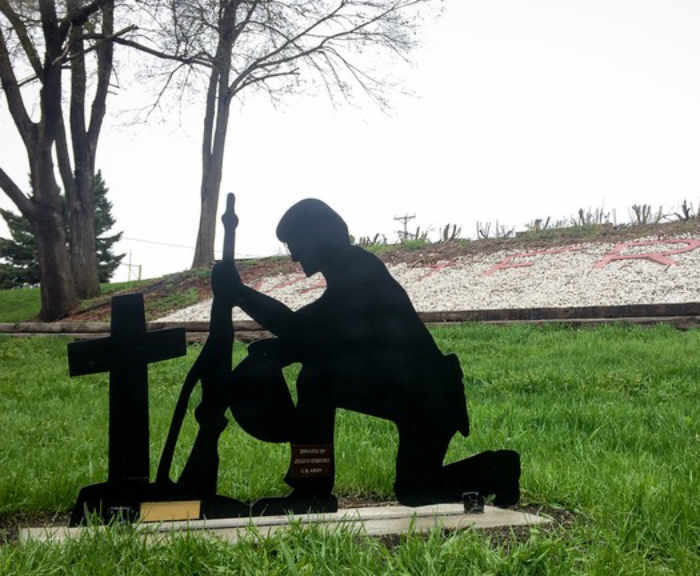 What is clearly a symbol for ritualistic practice rather than a monument meant to honor the deceased will now reside right next to a Christian monument that honors the fallen soldiers all because city leaders were scared of a lawsuit by practicing satanists.